Host plants are various species of the Acanthaceae, often near or in rainforests. Mature larvae have a black body with numerous branched spines; head dark brown with 2 long branched spines. 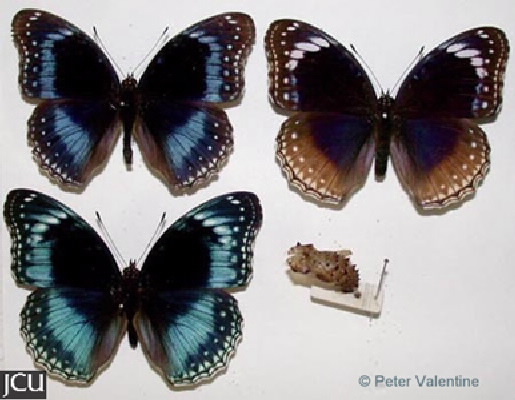 Adults are blue black on upper surface with a blue median band, towards the margin there are several series of white spots. Lower surface brown with narrower blue bands and even some white, spots are more prominent. Margin of hind wing scalloped.